How to Search Particular Text Messages in Android? As a basic and common feature on Android mobile phones, Message App plays an important role in our lives- almost all the users need to use it to contact with others or receive verification code or important messages. Then it is not remarkable that there are a great deal of messages saved on the device so it would be a arduous task to find out one certain message from these messages. With the developments of technology and smart phones, the functions of Message are increased and improved and one of its features is searching. That is to say, it allows users to look for a particular message from hundreds of SMS at short notice. This is an easy but helpful operation but some users may still not know how to perform it. If you want to know the means, you can go with the step-by-step tutorial below to have a try. - Open the Message application on your Android phone. - Next, find out the Menu option in the application and select search from the listed options. For the latest Android smartphones, you can find the search bar at the top of the screen directly. - Then just enter the key word in the search bar and the related messages will be displayed on the screen. So you can find your wanted messages from them more quickly and easily. How to Transfer Text Messages from Android to Computer/PC? How to Print out Text Messages from Android Mobile Phones? 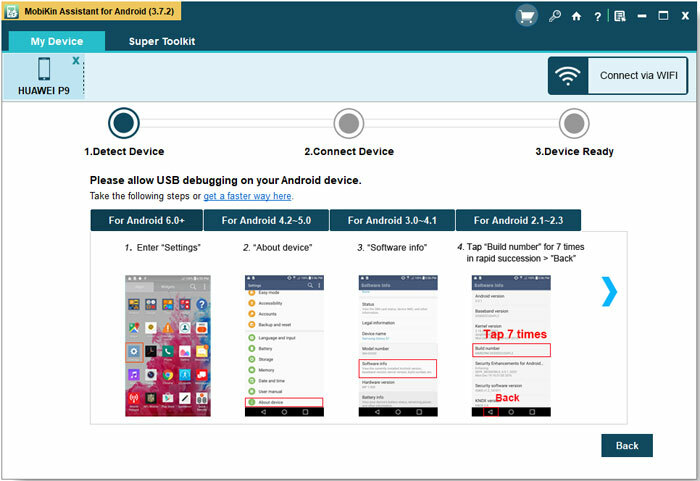 - Connect your phone to computer with USB cable and launch the program on your computer. Here don't forget to enable USB debugging on your phone. - After that, the software will detect the connected device automatically. 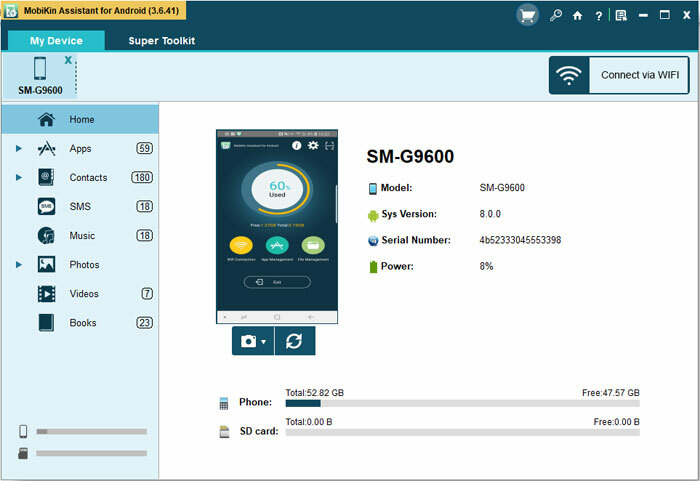 And then you see the detailed information of your device on the interface, including the phone model, system version, contacts, SMS, Photos and so on. - Now just click on SMS option in the left panel to locate all the contents to the program. Then you can type in the key words of the wanted messages in the search bar to get them easily. 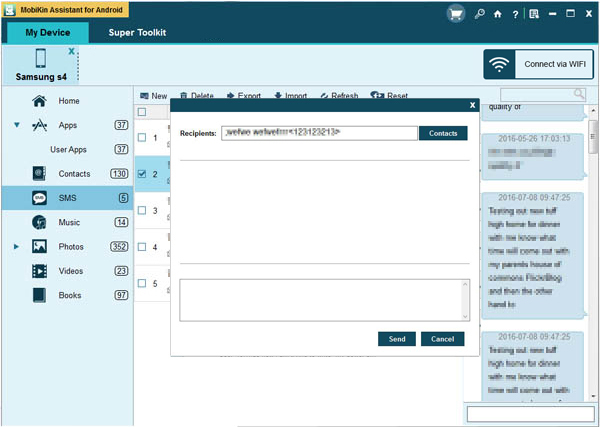 - Export text messages to computer: tick the desired messages and click on Export button to move them to computer as a backup. - Send messages to a group of friends: click on New button on the top menu. Then a pop-up window will appear. Just type the messages on the blank box and select the contacts you want to send messages to. At last, hit Send button to complete the process. Certainly, you can use it to manage other files on your phone like contacts, music, photos, applications as well. This would help you to accomplish the phone management without any hassle.